Medical education reform campaigner Dr. Govinda KC, who has been staging his 16th fast-onto- in Ilam, washospitalised on Monday on the sixth day of his strike following his critical health condition. Senior orthopedic Dr. KC was admitted to the District Hospital, Ilam on Monday morning, following the irregular heartbeats and high blood pressure. According to Dr. Brijendra Shah, Acting Medical Superintendent at the district hospital, Dr. KC’s heartbeat were irregular with minimum 30 beats/minute to maximum 240 beats/ minute. 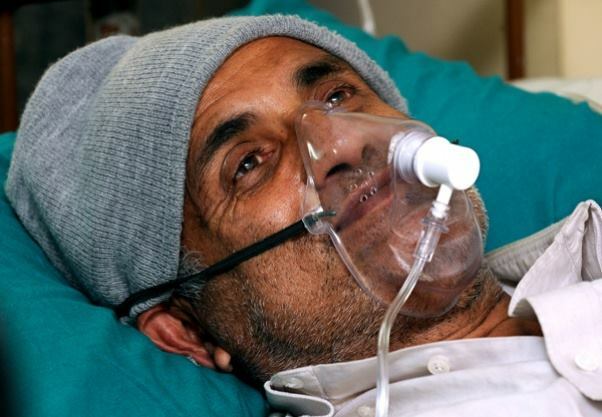 Dr KC also developed throat and lungs infection, low blood sugar and weakening immunity power after continuing long hunger strikes on multiple occasions. However, he refused to take medicines. Doctors said that Dr, KC should be kept in Intensive Care Unit, but there is no ICU in Ilam. The government seems indifference to KC’s hunger strike as during his previous strike. However, when his health gets worsens and the medics take to the street leaving works, the government has no option but to address his demands.